We all know that pickup trucks are among the most useful of automobiles on the market. They are versatile enough to handle many different types of hauls and large enough to be a family vehicle. Today’s pickup trucks are also stylish and carry many of the technological conveniences of home. Trucks are no longer just the farm and rural vehicles of generations past. They are now for all walks of life. If you are one of the many drivers looking for new or used trucks for sale in the Orlando area, we know just the place for you to go. At Carl Black Chevy Buick GMC in Orlando, we have more than 150 new and used trucks for sale (1). From full sized to traditional, regular cab, crew cab, extended cab… you name it, we’ve got it. Our exhaustive inventory of trucks for sale is sure to have a vehicle perfectly suited for your needs and budget. Not only do we feature brand new trucks, but we also have more than a dozen certified pre-owned trucks, all in great condition and looking for a new owner. Take a look at some select models and decide which one is right for you. This beautiful piece of American engineering is an extended cab six-speed transmission, 5.3-liter V8 engine with loads of trim options. Options include all the interior creature comforts modern automotive technology gives us, such as Wi-Fi hotspot, a 7” color touch screen Infotainment system, Bluetooth, Pandora Internet Radio and more. Some of the many safety features include StabiliTrak, Rear Parking Assist, Teen Driver and multiple airbags for driver and passengers. Carl Black Orlando is also willing to let this 2018 GMC Sierra 1500 go for $11,020 less than the MSRP. With all the possibilities in the available trims, this is sure to be one of our most desirable trucks for sale. This truck was released in the early 2000s as a replacement for the now discontinued Chevy S-10. The S-10 had a very 20th-century look, but the 2019 Chevy Colorado LT does not. Considered a mid-sized truck, it is considerably larger than its predecessor. This vehicle features an eight-speed transmission and a 3.6-liter V6 engine, as well as all of the interior technological advantages we’ve all come to expect from Chevrolet, including OnStar and Chevy’s Infotainment system. What Chevy has been able to do with the 2019 Chevy Colorado, however, is pretty impressive. Depending on the trim you select, the Colorado offers models with best in class towing, best in class torque, best in class horsepower and best in class fuel economy (2). 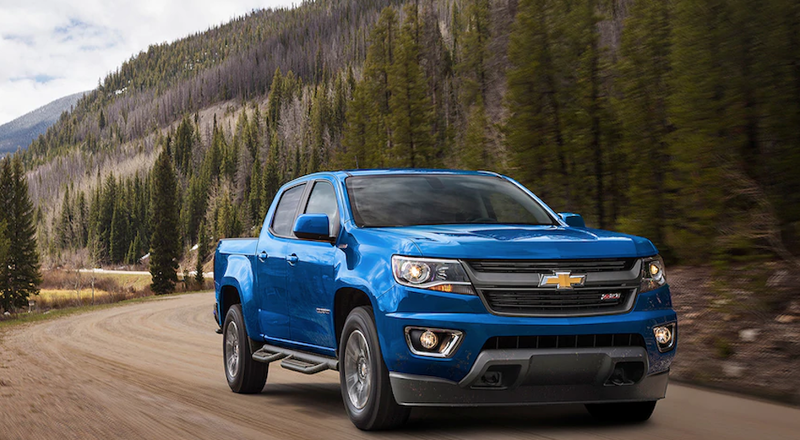 So, if it is towing, performance, power or gas mileage you are looking for, the 2019 Chevy Colorado literally offers you the best option of any trucks for sale of its kind on the market. The sister truck to the Chevy Colorado, the GMC Canyon is another mid-sized truck with tons of available features. However, this is a much more simplistic offering from General Motors. It has more of a classic design and look, and does not contain all the bells and whistles of many other trucks for sale in its class or larger. It contains more than adequate power for hauling or towing whatever you need and is a perfectly serviceable truck. 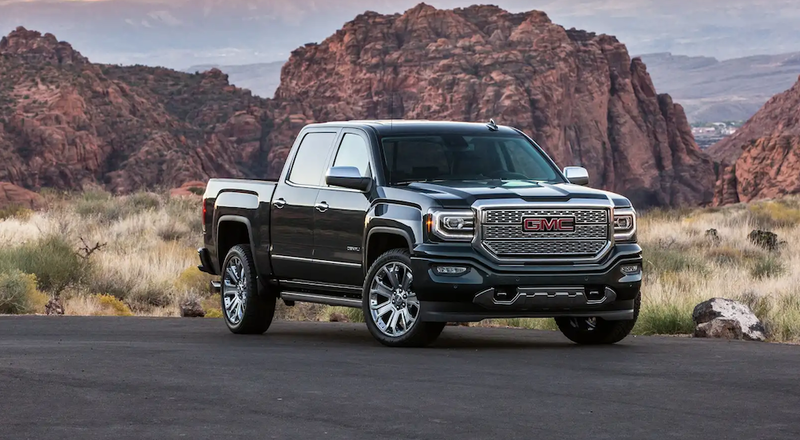 The newest generation of the GMC Canyon, released in 2015, upgraded on the previous generation’s lack of power and concentrated on service and performance, by installing a V6 engine in place of four and five-cylinder engines. That being said, the 2018 GMC Canyon still retains many of the features we love about modern trucks. Among those are available safety features, such as StabiliTrak, electronic traction control and Teen Driver Mode. Entertainment features include auxiliary jacks, USB ports, Bluetooth technology, and voice-activated radio and phone integration to keep your hands on the wheel and eyes on the road. The 2018 GMC’s MSRP is about $10,000 less than that of its close relative, the Chevy Colorado, making this truck more affordable and more appealing to someone who wants a hard-working truck without as many of the frills. If you are looking more into the pre-owned variety of trucks for sale, we’ve got you covered there, as well. 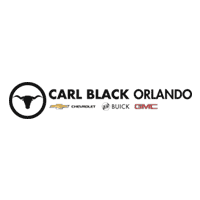 At Carl Black Orlando, we’ve got more than a dozen trucks of different makes, models and trim levels. Among those is a Pre-Owned 2015 GMC Sierra 1500 Denali. This beauty is a crew cab with fewer than 39,000 miles on it. With an onyx black exterior and jet black interior, this truck has the look of what American automotive power should be. It is sleek and stacked with amenities, including premium sound system, MP3 player, Bluetooth connectivity and smartphone integration, for all your mobile apps needs. To help keep you safe, this Denali trim also has a Back-Up Camera, Traction Control and Stability Control. It even comes with a security system and universal garage door opener, features that do not come standard on very many trims on any makes or models. This Sheer silver metallic pickup has an extended cab and a 6.2-liter V8 engine, with just over 52,000 miles, this Chevy Silverado is one of our older model trucks for sale. However, it is still in excellent condition and has a ton of features that make it a great buy for someone in the market for a pre-owned truck. It has features found standard in certain Silverado trims, such as Bluetooth for phone technology, MP3 player and Satellite Radio capability. Safety features include Traction Control, Stability Control, and Tire Pressure Monitoring. Additionally, it comes with Navigation from Telematics. This particular truck has a pretty impressive towing package, as well. The Silverado 1500 already has one of the largest towing capacities in the Chevy line (3). The engine, shocks and rear axle on this particular truck are perfectly suited for carrying the max amount possible for a Chevy Silverado, which is 12,500 pounds. That is the equivalent of two off-road vehicles. This 2011 Chevy Silverado 1500 LT is great for someone looking for an outdoor, off-road vehicle that can haul whatever gear you are taking with you. Of course, this is only a fraction of the new and used cars we have available at Carl Black Orlando. Our knowledgeable and friendly sales staff will be happy to show you all of our trucks for sale, both brand new and pre-owned. If you can’t make it during business hours or can’t wait until morning to check out our selection, our virtual showroom is open anytime, day or night. We also have a very professional and helpful finance department. They are here to help you explore every option, from leasing to buying and all the advantages of each. We can help you with credit checks and every aspect of financing a truck, whether it is new or just new to you. Head on down to Carl Black Chevy Buick GMC on East Colonial Drive in Orlando to find your next pre-owned or brand new truck. Our amazing selection is surpassed only by the professional, courteous nature of our staff. We will get you up and running in no time.